Sweden’s Kinnevik has completed the completed the distribution of its shares in Modern Times Group to its shareholders, signaling its exit from ownership of the media company. Kinnevik has distributed a total of 13,503,856 MTG Class B shares to its shareholders. This total includes 4,461,691 MTG Class B shares that have been recently reclassified from MTG Class A shares. 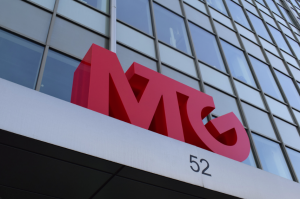 Kinnevik took the decision to distribute its shares in MTG earlier this year after the merger deal between between mobile telecoms player Tele2 and cable operator Com Hem, when Kinnevik agreed to effect pro-competitive measures , if required, to complete the deal. Kinnevik has participated in the European Commission’s merger control procedure to identify measures that would enable merger clearance. By distributing all of Kinnevik’s shares in MTG, Kinnevik said it would both ensure clearance of the merger of Tele2 and Com Hem, and deliver an extraordinary dividend to Kinnevik’s shareholders. The distribution means that Kinnevik’s shareholders will become direct shareholders in MTG and Nordic Entertainment Group following the split of MTG into two parts that is expected to be completed during the second half of 2018.